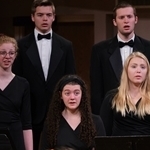 Northwestern College will host the 2019 Iowa Choral Showcase on Wednesday, May 1, at 6 p.m. in Christ Chapel. 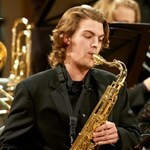 Northwestern College’s Jazz Band will perform a wide variety of music at its concert on Friday, May 3, at 7:30 p.m. in Christ Chapel. 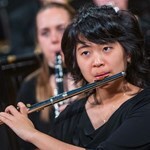 Northwestern College’s Symphonic Band will present a “No Holds Barred” concert with a wide variety of styles and sounds on Friday, April 26, at 7:30 p.m. in Christ Chapel. 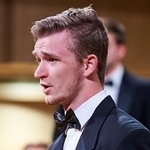 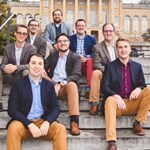 Northwestern College seniors Benjamin Grev and Matthew Shuka each will perform during a vocal recital on Sunday, April 14, at 3 p.m. in Christ Chapel. 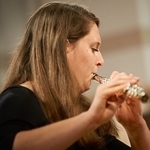 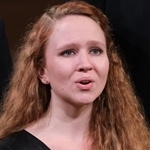 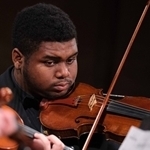 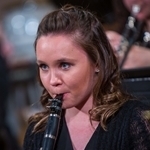 Northwestern College’s Chamber Orchestra and Women’s Choir will perform a concert in Christ Chapel on Saturday, April 13, at 7:30 p.m.
Northwestern College senior Ellen Podhajsky will perform a flute recital on Sunday, March 31, at 3 p.m. in Christ Chapel. 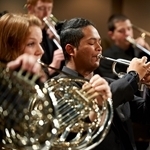 After spending the school year making plans, preparing music and fundraising, Northwestern College’s Symphonic Band will soon begin its spring break mission tour of Spain, March 2–11.